It’s fair to say that Zimbabwe has proved to be the first completely unexpected surprise on this trip. After all the bad press over the years describing the unbelievable levels of corruption, violence and poverty we really didn’t know what to expect, but as a last minute addition to the itinerary, Zimbabwe has completely captivated us. 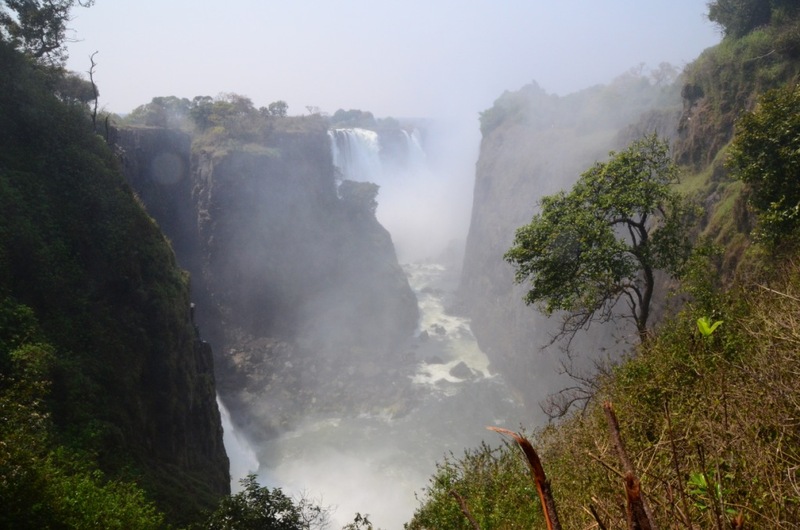 We made the easy border crossing into Zimbabwe at Kazungula and headed straight for Vic Falls. The ‘adventure capital’ of Zimbabwe, where the list of activities is endless and depending on how big your wallet is and how brave/stupid you’re feeling, there is enough to keep you busy for weeks. 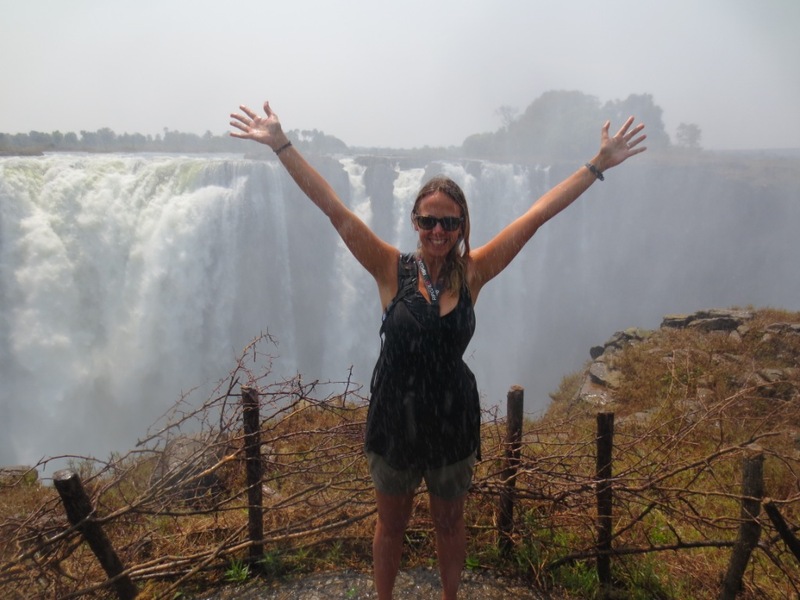 Since the US dollar was introduced, things have certainly improved and with security now not a problem Vic Falls is the first area to see tourist numbers growing again but it’s not cheap! Most activities seemed to cost $140, whether it was a 12minute helicopter flight over the falls, riding elephants or bungee jumping! We decided to get our money’s worth and booked to go for a day rafting down the Zambezi, the biggest commercially rafted rapids in the world consisting of 18 rapids, seven of which are grade five! It’s fair to say I was completely terrified about the prospect, so to settle the nerves we went for a walk round the magnificent falls then headed for medicinal G&T’s and Afternoon Tea at the original Vic Falls Hotel. 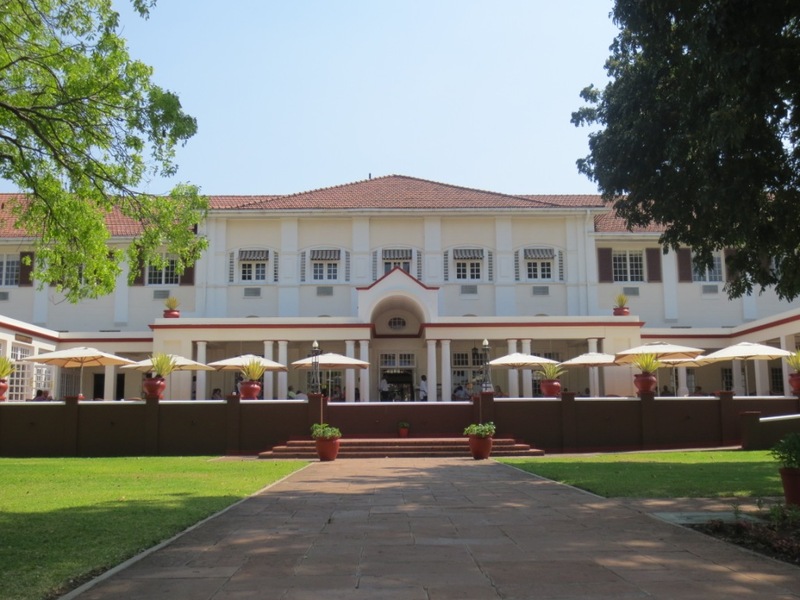 The magnificent colonial hotel used be a stop-over for the British Elite flying from Southampton to Johannesburg on the BOAC Royal Mail Flying boat service in the 1940’s. The big flying boats used to land in the lake above Vic falls. The hotel and it’s grounds have been immaculately kept, every room filled with mementos of the past which is rather uncanny considering the current governments views on the colonial past! 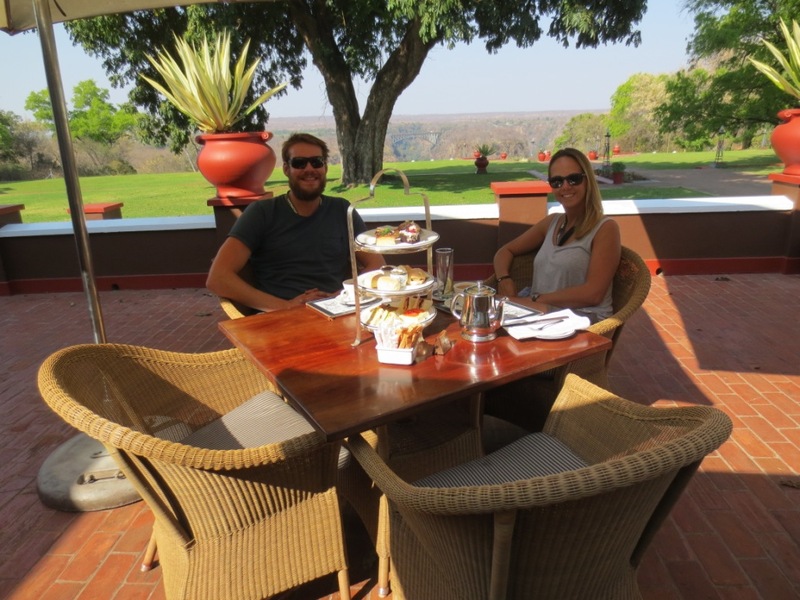 We enjoyed a very leisurely afternoon on the terrace with views looking out across the beautifully landscaped lawns towards the Vic Falls Bridge. The next day we were up early for our rafting adventure – scaling down the gorge with helmets, lifejackets and paddles was no easy task, the point of no return had been and gone before we’d even reached the boat! Our guide introduced himself as ‘Titanic’ – I realised that this would be no easy ride. The first section was so breathtaking, I’d forgotten about being scared, paddling up to the end of the gorge to look down the long corridor of the magnificent falls – it was an incredible site and a amazing to see the falls from the bottom of the gorge. Then the fun began. Before each rapid we’d be given a quick briefing – such as ‘This one the Jaws of Death’. ‘Grade 5’. ‘Big, big waves from all sides’.’Paddle hard right, then left’. ‘But anything can happen at this one’. The boat begins to quicken, the roar of the water gets louder, and everyone manically paddles, trying to keep up with the instructions being yelled from the back. All I want to do is hold on as the wall of water begins to rise above us. ‘Get down, Get down’. We all fling ourselves into the bottom of the boat as the raft launches vertically into the air, before crashing back down and a wave of water surges over us. Then its quickly resume positions and paddling hard, we’d made it. This happens 18 more times, but with varying success – realising that our guide was taking us into the deeper holes – rather than round the edges we flipped the entire raft 3 times. Rafting down a rapid is one thing, but swimming is another. Exhilarating but completely terrifying, as the boat flips you’re catapulted out into the washing machine, spinning round and round not sure which way is up. As you surface, gasping and spluttering for air, you’re then faced with trying to survive the rest of the rapid alone, until you reach the pool below where everyone is collected up before heading off again. An awesome experience, one I’m so glad to have done it, but would I do it again? Think I’d need another G&T to think about it. 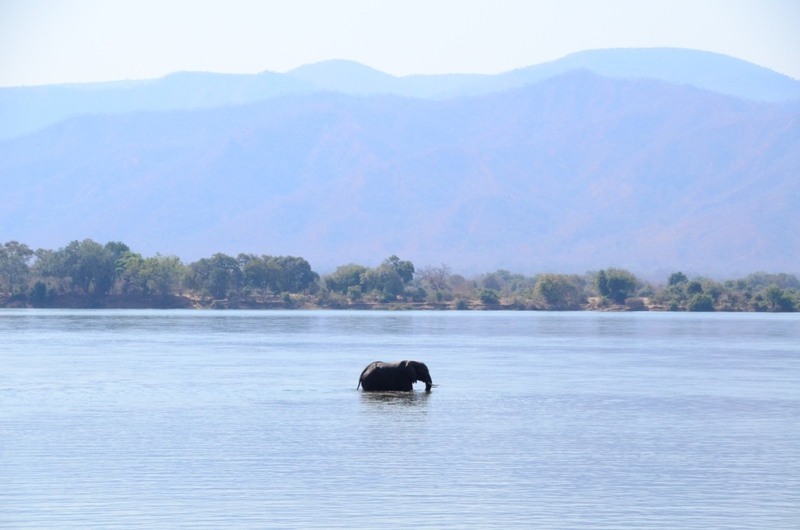 After Vic Falls, we headed onto Kariba, but to avoid having to drive a huge ‘dog leg’ down to Bulwayo we decided to drive across the bottom of Zambia and drop back into Kariba on the Eastern edge of the lake. A ferry used to run regularly across the lake, but now is only able to run the service once a month due to the decline in visitor numbers on the Zimbabwe side. 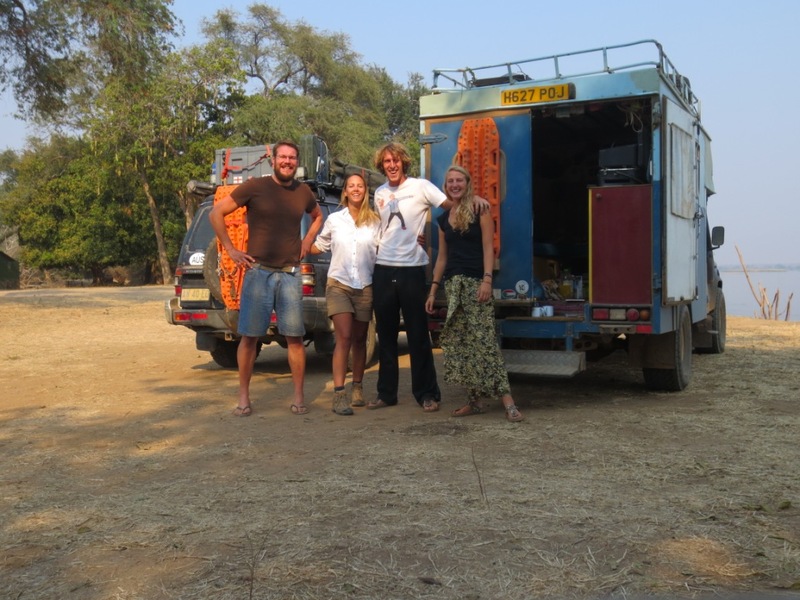 So with double entry visas for both Zimbabwe and Zambia we hopped over to Zambia for a couple of days to complete the drive over to the other side of Zimbabwe! 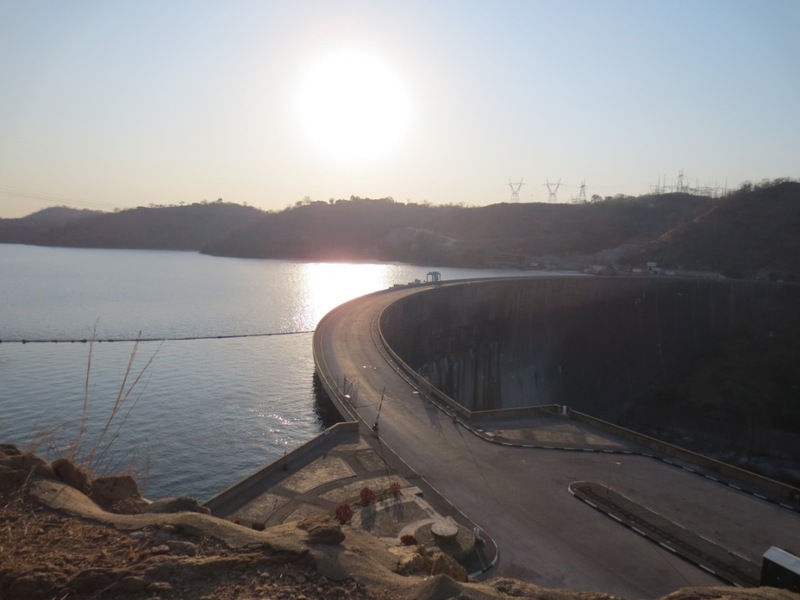 The entry point back into Zimababwe was across the huge Kariba dam – built in 1949, it created one of the largest man-made lakes in Africa. The border control was our first trying border experience. 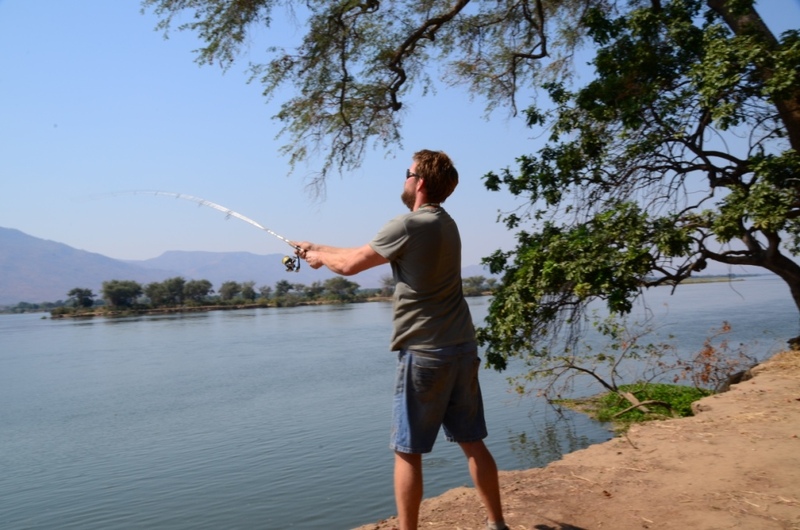 Following the long swims and excessive intake of Zambezi water I’d been suffering with my first bout of sickness and the border crossing came at the end of a very long and tiring day. The rounded woman behind the glass in the border office cared little for my sickly state, sensing my weakness she continued to fire a long list of questions, many of which I barely remember answering until I made the silly mistake of admitting I worked in advertising. At the mention of media, I was slapped with a government notice stating that I had to abide by ‘strict entry conditions’ (not that they were noted) and to report immediately to immigration on my departure. We left the office, relieved to have all our documents finally stamped but as we got to the gate, the nice guard in his smart green uniform and shiny AK47 said that Richard needed to go and have an interview with the ‘CID’?? So off Richard went to meet the ‘CID’ – 3 very dodgy looking guys casually sitting on the floor behind the office, smoking away. They had two nice shirts and one tie between the three of them. Before any corrupt demands could be made, in a tactic he’d read in a recent blog post from Ossiyez (thank you guys), before the CID had a chance to speak, Rich put a big fake smile and launched into an over-excited, fast talking spiel so that the men couldn’t even get a word in edge ways. They wanted to see the car, so he bought them over for a tour, still talking at a rapid pace about the wonderful weather, the beautiful countryside, and the full history of our trip so far. It wasn’t long before you could see the men were beginning to tire of the unexpected Welsh whirlwind they were experiencing and soon they reluctantly lifted the gate to let us pass. Unlike Vic Falls, Kariba hasn’t enjoyed the return of tourism and is a classic example of how Zimbabwe has been run into the ground in the past decade. Once a beautiful little town on the edge of the lake, in its heyday a prime resort filled with exclusive lodges, country clubs and hotels, it now sits in a very sorry state and only a handful of very run down lodges survive. We camped at Kushinga Lodge, we were the only people at the entire lodge and the receipt book showed that only 6 people had visited since April. In a prime position on the hillside, with amazing views of the lake, we sat in our dilapidated surroundings. It was really sad to see. The staff still cleaned the pool, and kept the grass short, but the chairs were all broken, the thatch on the roof falling in and the light fittings all missing. The place resembled one of those films where a man who awakes from a coma after 20years to find himself the only remaining human being after the masses had died from the plague or had turned into zombies! The loads are lorry carnage! The next day while searching for a fuel station that hadn’t gone into receivership, as 4 out of 5 had in Kariba we met a lovely old lady who took us up to a fantastic view point of the lake. She talked about how wonderful Kariba used to be, but how the last decade has changed everything, and tourists no longer come to Kariba. But they understand why. In 2008 things were so bad, that there wasn’t even any food to buy in the town. 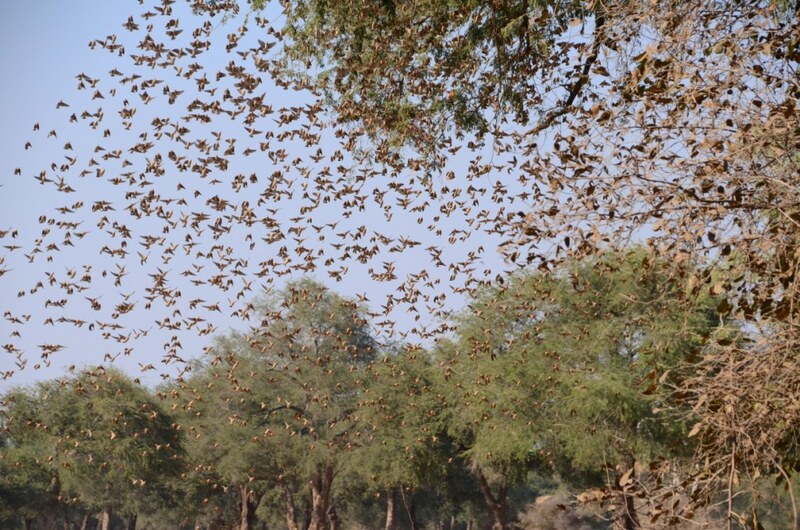 That year the people of Kariba felt hunger and every single person we met, blames one man for this.. It was hard to understand how the current government was voted back in as we didn’t meet a single person who had a good word to say about them. Those that do want change are too frightened to stand against him for fear that things will go back to the way they were. In a country where it is illegal to condemn the president, in a hushed voice, nervously looking over her shoulder, the old lady said, ‘ We have known hunger, it was very, very bad. But now things are getting better and we have food, it is better just to keep our heads down.‘ Her story, was heartbreaking to hear, just one of many sad stories we heard while in Zimbabwe and of course the plight of the white farmers is a whole other story, which I won’t go into now as otherwise my blog will become a very long and political rant. But despite these hardships, the people we met were so happy to see us and always welcomed us with big smiles – they were keen for us to tell all our friends to come to Zimbabwe. 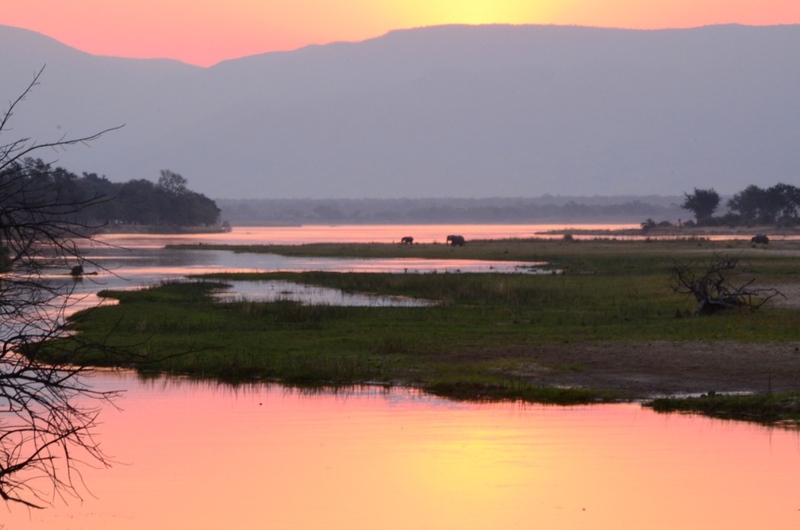 After Kariba we headed to Mana Pools – a World heritage park on the banks of the Zambezi where we spent 3 amazing days in the wildest park so far. The park is the most beautiful we’ve visited so far, but the road in is shocking – 80kms of bad corrugations – we winced as the car shook and juddered wondering what part of the car would be next to fall off. The 80km back out, would surely kill something! Roads aside, the park was incredible. 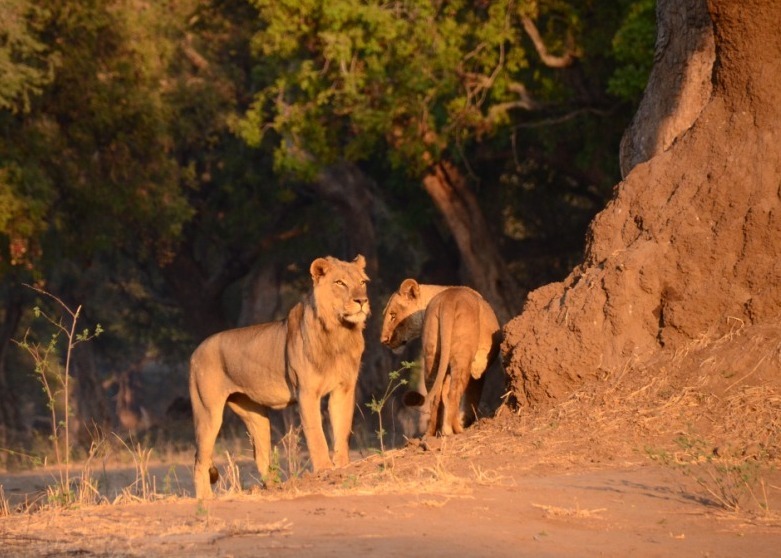 We had our first close Lion encounters, coming across a small pride of 3 who were trying to challenge an elephant but losing. 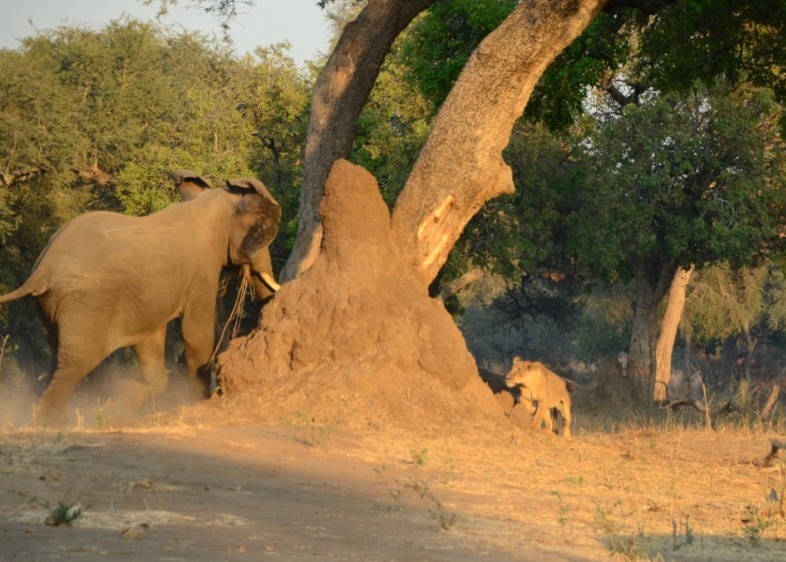 It was amazing to watch the elephant charge the Lions with its ears flared and trunk held high causing the lions to scatter before finally stomping off to find a new patch to graze on. We had some fantastic game viewings in the day, we were even lucky to be invited out for a drive with a South African couple who are trained rangers, so they taught us a lot about the wildlife, we are learning a lot everyday! But it’s at night when things get really intense. 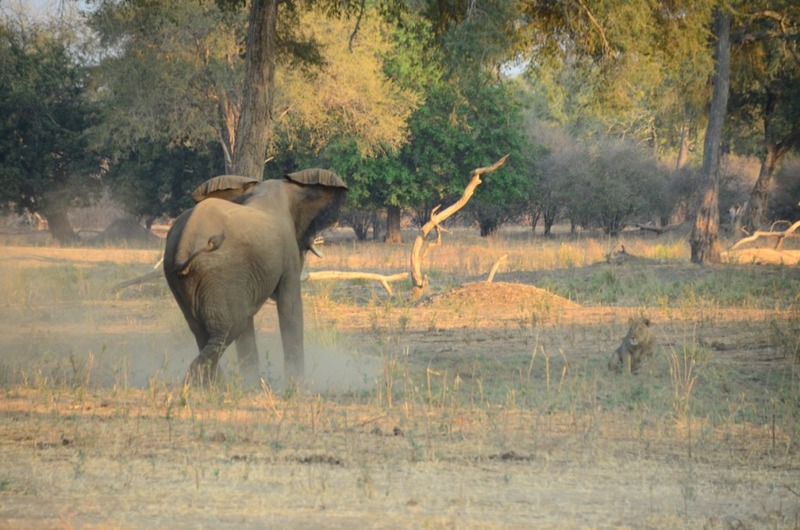 From the elephant that was hiding in the shadows behind the open back door of the car, we didn’t see him until I went to walk round the other side of the car and almost walked into him, to the hippo fight outside our tent (so savage sounding, I was convinced it was lions! 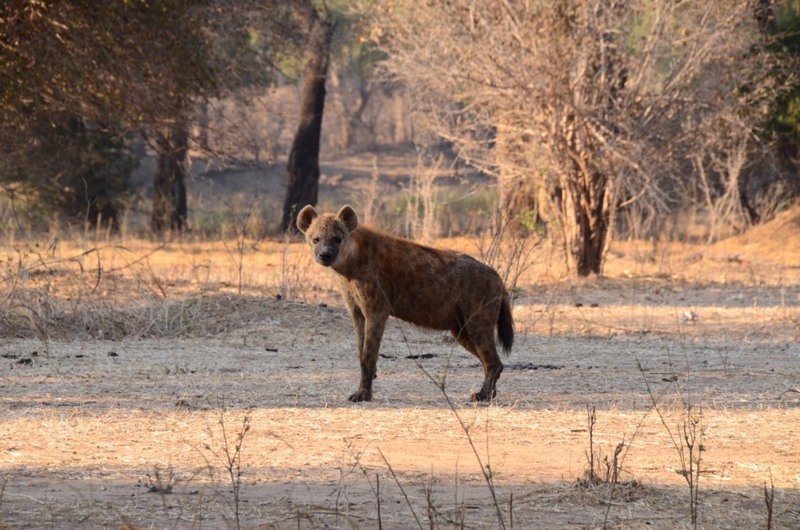 ), to the 8 hyenas that began circling our camp. It’s the most intense camping we’ve ever experienced, the adrenalin starts pumping as the sun sets and pretty much keeps going throughout the night until the sun comes back up again! Camping back in the UK just isn’t going to be the same! Young male, out to impress the ladies. Our last night in the park, we spotted the Landrover belonging to fellow overlanders, Harry and Anneka ‘ Bristol to Cape Town’ who’s blog we’d been following. It was so awesome to finally meet some other overlanders coming the other way and swap stories. We had a really fun evening together, just wish we could have stayed with them longer as they’d be great fun to travel with. But the next day it was back on the road of hell and 80km of corrugations again – and of course, something broke, one of our brand new shocks that had only been fitted 2 weeks and 2000klms earlier! The rubber bush at the bottom of the shock had completely worn out?? 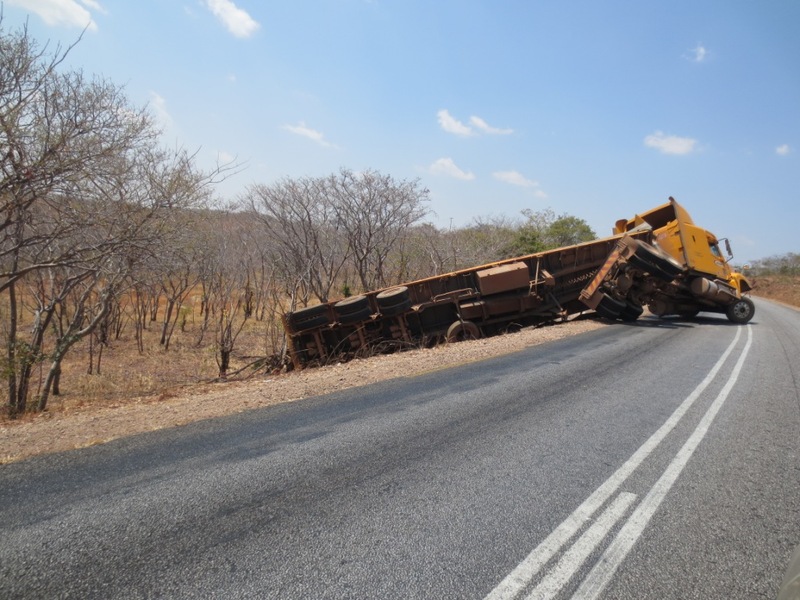 We had no choice to but to clunk on to Zambia and Lusaka where we would need to get it repaired. Awesome post guys. Glad you survived the rapids and (nearly) the Mana Pools road. It’s so exciting to see the park from your perspective… I’ve been dreaming about it.